Megan Ross Bain is a proud Middle Tennessee native originally from Mount Juliet in Wilson County. She received her undergraduate degree from Middle Tennessee State University in 2011, where she was active in many campus organizations. She is a member of Alpha Chi Omega, and during her collegiate years, oversaw the organization’s financial operations. She remains active as an alumna member of Alpha Chi Omega, where she volunteers as a national speaker and facilitator for collegiate members around the country to help empower the next generation of young women. 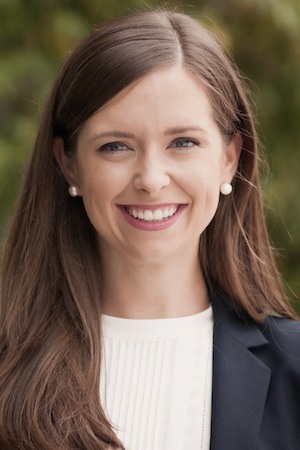 Megan Ross Bain graduated from the Nashville School of Law in 2015. She passed the Tennessee Bar Exam in 2015, and began working as an attorney at Widrig Law PLLC in July 2016. Megan along with her husband, Cleveland and their beloved dog Charlie, live in Green Hills and they are active members of Woodmont Christian Church.